Architecturally, it is almost an exact replica of the Indonesian-style villa he had constructed on the Caribbean island of Mustique in the late 80s; the original, with its layered streams and koi ponds, Javanese furniture, and rampant teak, barely fit anyone’s definition of a house—more than anything, it resembles a palace. The 64 acres of wooded land they call the Mountain—a wild, secluded area upstate, near Woodstock, originally purchased in 2003—has lain dormant for ten years. Earlier than that, he recorded 2002’s Heathen in these mountains; beneath stark, unforgiving vistas he composed an album of overwhelming spiritual despair, an album born of fear for the world he’d just brought a new child into—his daughter, Lexi, who has just turned thirteen. He builds the house in secret. He watches the same vistas. When construction is finally complete and the house totally furnished, David Bowie takes Lexi and his wife, Somali supermodel Iman (for whom he has written songs) on a long drive out of the city, into the mountains. David Bowie can barely conceal his excitement; he has them wear blindfolds, and they listen to Richard Strauss’s Last Four Songs for the whole drive—composed when the master was 84, they’re about universality, and death—some of the most romantic music he’s ever heard. Inside the gate, when he has his family remove their blindfolds, Lexi shrieks with delight—she has never seen the original, even—and David Bowie beams. Leading them around the horseshoe-shaped veranda, he shows them the fully-stocked koi ponds, the 19th-century British-retreat living room, the octagonal Javanese guest pavilion, and the curving balustrade that surrounds it all, carved in the shape of the Nāga, the snake-like Hindu deity that carries the elixir of immortality. Lexi—who has grown up entirely in the city—goes crazy for the deer, and chases them into the sunset by the pool. David Bowie uses the opportunity to give Iman a more intimate tour of the house. Every corner they turn, he acts surprised—a sharp intake of breath, a quick step backwards—as if he’s seeing each room for the first time, although it has been built to his precise specifications, although it resembles the house on Mustique in almost every way. At the end of the hallway, he instructs Iman to close her eyes again. “David, I’ve already seen all of this,” she says. With a flourish, he unveils to her the Egyptian Revival master bedroom. He draws the curtains open, revealing yet another impossible vista, into which they watch their daughter, chasing something invisible, vanish completely. David Bowie imagines his wife draped luxuriously across the bed, her pose reminiscent of a portrait by Rossetti, while he sits a few feet away, painting her. “Is it all exactly the same?” Iman asks. Golson, Blair. “Bowie’s Bower,” New York Observer (July 21, 2003): observer.com/2003/07/bowies-bower. At the time, representatives refused to comment on Bowie’s plans. In 2008, musician Momus speculated as to what style the house would be in, if it were ever built (the post is available here). Alexandria Zahra Jones (b. 15 August, 2000; 7 lb, 4.6 oz). The opening track of Heathen, “Sunday,” makes it clear that the godless century has arrived: “Nothing remains / we could run when the rain slows / look for the cars or signs of life / where the heat goes.” A TV advert for the album, released in America, featured a young girl watching through the glass as her anguished father (Bowie) thrashed about in the sound booth. The theme, of both the album and commercial, according to Bowie, was abandonment. Pegg, Nicholas. The Complete David Bowie. London: Reynolds & Hearn, 2006 (4th edition), p. 365. Pegg quotes Bowie from Interview: “There is a certain sense of universality in those songs that Strauss wrote at the end of his life, when he was 84: they’re the most terribly romantic, sad, poignant pieces that I think have ever been written.” Gundula Janovitz offers one of the most-acclaimed performances. 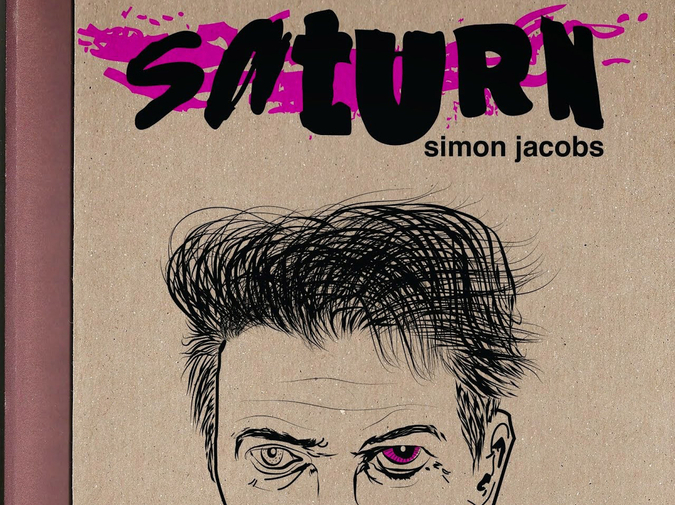 Simon Jacobs is the author of SATURN, a collection of David Bowie stories out now from Spork Press, of which this piece is a part. He may be found at simonajacobs.blogspot.com.